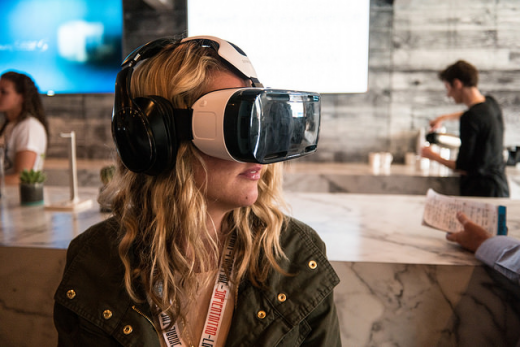 Virtual Reality (VR) holds enormous potential outside the entertainment industry, with VR poised to change the way we shop, experience, communicate and even conduct business. The benefits of virtual reality units in education are pretty clear; more student engagement, faster learning and better quality of education. Q3 provided a complete Virtual Reality solution with all the gamification features. In 2006, the IT services business of the client was demerged into a separately listed company. The focus of the client is now on Corporate Training, Vocational Training for Services Sectors and Education and Training in Schools. Digital innovations usage keep on proliferating, the effect of its wide array of applications for instructive purposes has therefore become important to educational scientists and researchers around the globe. Of late, visual, auditory and interactive stimuli have been combined into virtual reality (VR) learning and are being conveyed as viable venues to develop student engagement in order to meet the intellectual needs of the current generation of millennials. An understanding of VR applications in education supported by rapidly growing exploration of virtual technologies, the developing enthusiasm for the ease of use of VR across multiple disciplines is hence essential to take advantage of its capability to change education in our perceived way. The Client was going through a business transformation and had undertaken a massive modernization and digitization program. To attract students through the advancing technology of VR, the client wanted the prospective students to have an experience of what is it like to actually be sitting in the class or move around the campus with a 360 degree immersive view. To achieve this, the client had setup a VR Kiosk with hardware assembly of mobile phone and VR Headset at the enquiry entrance to target maximum students to enroll with them. It was required to create an interactive 360 navigable application with audio effects to run at the VR Kiosk. Q3 provided a complete Virtual Reality solution with all the gamification features to meet the requirements of the client. The App was developed on Unity Platform with the Google Cardboard Virtual Tool Kit. Interactive Menu: The student can click on the courses offered by focusing his gaze on respective menu buttons. This feature makes use of the VR gaze module provided by Google Cardboard. 360 degree navigable classroom: Once the course is selected, a holistic view of the classroom can be taken by the student by moving his head to travel in his choice of direction. Attend a Virtual Presentation: The student can attend a virtual meeting/presentation with relevant audio. Back Button: The student can go back to the main menu to explore other courses by focusing his/her gaze at the back button present overhead in the virtual environment. Suggestive Courses: Based on the course choice of the student, at the end of the tour, the application offers other suggestive courses which he/she might be interested in. Experience Feedback: The students can submit their feedback about their virtual experience at the end by selecting their level of satisfaction amongst the 3 options from: Extremely satisfied, satisfied, and unsatisfied.